It comes with free templates and includes all the necessary tools to create your websites and costs just $59.95. Drag and drop images to the pages and add text using a what-you-see-is-what-you-get (WYSIWYG) editor. 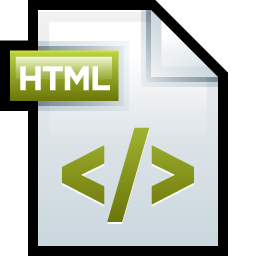 All HTML code will be generated automatically. Browse through some sample websites to see what you can create. Website Realizer makes it simple to manage your files with its built-in Website Explorer. Create, rename or move files or sub-directories, and the links referencing them will be updated automatically. You will even receive a warning if you try to delete a file that has links referring to it. Website Realizer's site manager makes building your website easy and safe. Publish directly to a web server using the included FTP / SFTP / FTPS website publisher. The publisher supports Secure File Transfer Protocol (SFTP) and FTP over SSL/TLS (FTPS) which encrypt your login information and file contents when your sites are published by this website design software. The publisher can also synchronize the files between the local website and the remote website after publishing. This website design software supports template pages. You can use the professionally-designed template pages that are included in the software, or design your own template pages. Any changes made to your website's template pages will be updated to all web pages that uses them. You can mark certain elements on the template page as "footer". These footer elements will be moved below other elements on a page that uses that template page. This software includes all the necessary tools to build and design your web site such as Navigation Bar Editor, CSS Style Editor, Image Editor, Web Button Creator, Bullet Image Creator and Color Analyzer. You can style your whole site using CSS styles, the latest technique for ensuring that you have a consistent web page layout from page to page. You can use the CSS Style Editor to create CSS styles, and then apply them to the elements of your web pages. All the globally applicable styles will be stored in a single style sheet which is linked to every page of the website. Advanced users can use this editor to create their own HTML code, and add these code snippets to their websites. Use the included 38 website templates created by this website builder software as examples to get you started quickly. This software supports PayPal Buy Now, Add to Cart and Donation Buttons. They can also be protected by using PayPal encrypted website payments. Remove http:// or https:// from an URL automatically if it is pasted to a URL field for http:// or https:// when adding link. Make color picker work on multiple monitors. Support generating a list of dates on a form select field in "PHP - Send Form data to Email". Check out this tutorial for details. Remote directory in FTP profile now supports multiple directories. You can publish to different directories of the same website using the same FTP Profile. Text element now support dynamic width and height. So bigger text element for showing a list of images works better in tablet layout. However, there can only be one element with dynamic width or height on a page. Fix Division Calculator in Page HTML Editor not enabled. Fix incorrect tablet layout when footer is moved to the bottom. Fix form not be able to be included in footer. Template 30 to 33 are resigned to work in mobile, tablet and desktop layouts.